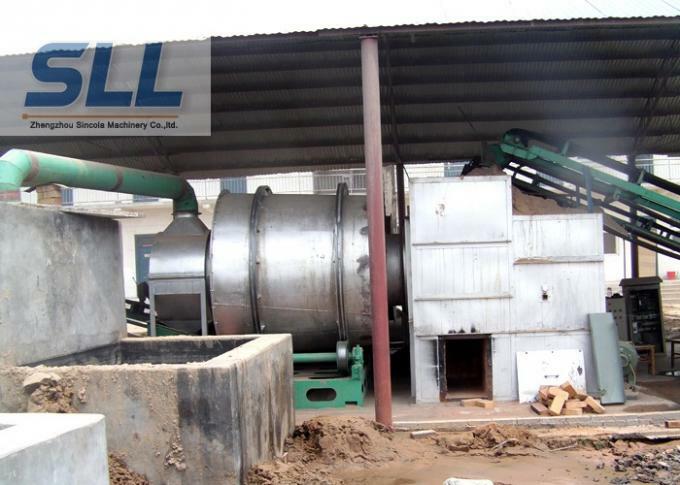 Raw material with 10-25% moisture content is suitable for this dryer,and not sticky for the drum or lifting blade. The temperature of air flow is less than 70 degree. When there is any special requirement for high temperature drying, the front part of inner drum and lifting blade could be replaced by heatproof steel plate. The product moisture content is adjustable according different requests, even below 1-0.5%. 2. Original moisture contains <15%, after drying final moisture contain 0.5-1%. 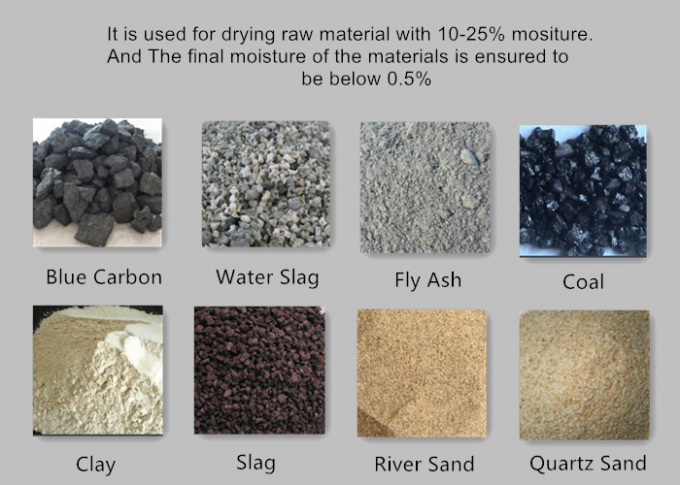 First choice for cement slag powder, pre-mixed mortar projects. 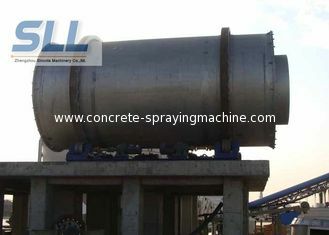 5. reduce 60% working place, 60% civil work compare with normal single drum dryer. Easy operation. 6. No air leakage phenomenon, solved the sealing problem. 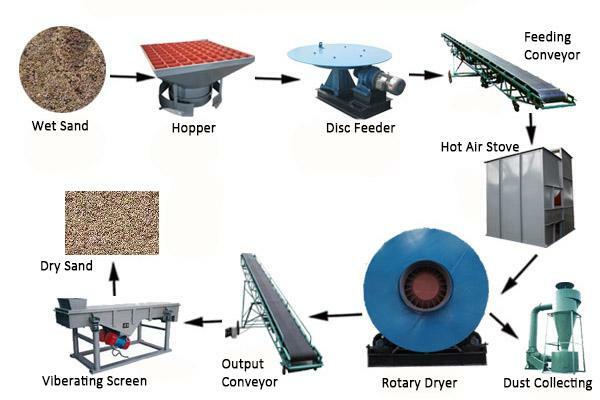 7. discharge temperature <60 ℃,could storage directly in the silo, no need cooling section. 8. 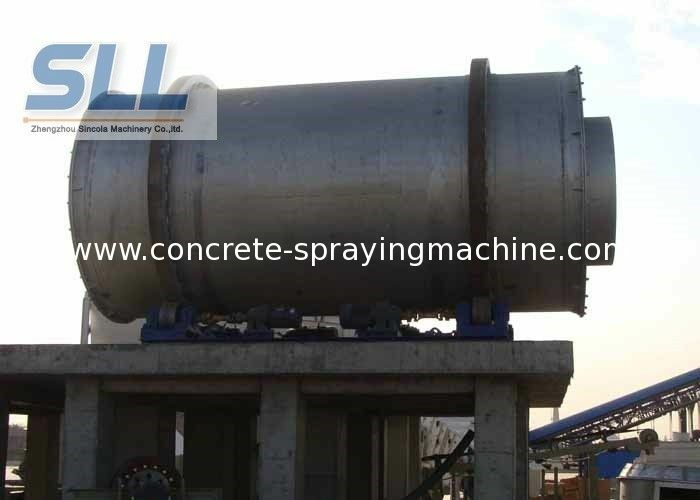 Outer barrel temperature <60 ℃, the exhaust gas temperature < 120 ℃, dust removal equipment could serve 2 times longer.